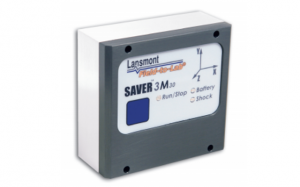 The Lansmont SAVER™ 3M30 represents the most affordable performance monitoring device on the market. It is equipped with an internal tri-axial accelerometer for threshold triggered full waveform recording with pre-trigger capability. It utilizes internal rechargeable batteries which provide up to 30 days of continuous measurement. Record the top 20 most significant events over a 30-day period to secure non-volatile memory. The Lansmont SAVER™ 3M30 is the entry level data recorder within the SAVER family designed for high volume monitoring applications. For setup, analysis and reporting it utilizes the same SaverXware software used by the more powerful X-series instruments. Instrument Type Acceleration Waveform Based – Field Data Recorder. Analysis Drop Height, Shock, Vibration, Temperature, Humidity, Time & Date. Lansmont Report Example - how can we help?